Alexander Medina Seaver‘s Stadium Capital Management has released another letter to the shareholders of Insperity Inc (NYSE:NSP), a week after its previous letter in which the fund discussed the main issues of the company. The new letter has been issued as a reply of the company’s management to Stadium’s previous comments. In a press release, Insperity corrected some of the facts presented by Stadium as inaccurate, according to the company. Among other things, Insperity Inc (NYSE:NSP) stated that the fund mentioned an incorrect information regarding the adjusted EBITDA, which has gone up by 12% in the 2011-2013 period, and not declined by 6% as mentioned in the letter. Moreover, the fund did not consider Insperity’s long-term strategic plan, as well as many corporate governance initiatives launched over the past couple of years. “The Board and management are concerned that the company’s largest stockholder has chosen to express a negative view of Insperity based on flawed analysis and Stadium Capital’s unwillingness to fully discuss these issues, preferring instead to issue immediate demands and arbitrary deadlines. Your perception of Insperity, our corporate governance and the integrity and independence of the Board as outlined in your letters does not line up with the reality of how Insperity is managed,” the company said. In its new letter, Stadium said that they consider that Insperity is not on the right course regarding its 2011 operating plan. The implied EBITDA for 2015, stands at around $195-250 million, significantly above the company’s latest guidance in the range of $76 and $90.5 million. “We certainly do not believe management can triple EBITDA between 2014 and 2015, nor do we believe results over the past several years indicate that management is on a reasonable path to achieve this goal even if given more time. In light of these facts, we remain astonished that management and the Board can apparently remain “optimistic” about their plan,” Stadium said. Moreover, in Stadium’s opinion, the company’s governance is flawed and the Board is not committed and is not capable of maximizing value for shareholders. The fund also said that the response offered by Insperity Inc (NYSE:NSP)’s management reinforces their conviction that the company requires a change and that a direct and active involvement of stakeholders is needed, as well as a rejection of the status-quo. 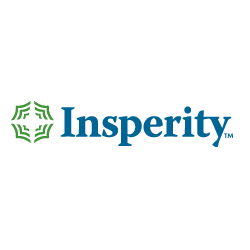 “For this reason, we intend to vote AGAINST Insperity’s current Board slate and urge our fellow stockholders to consider what we have outlined above and in previous letters when they cast their votes in the coming weeks,” the letter concluded. In its response, Insperity Inc (NYSE:NSP) also mentioned the fact that they offered Stadium to join the board of the company. The fund, however, stated that the offer was rejected because they would have received only one seat, which they consider as insufficient in order to conduct the required changes and to increase shareholder value. Stadium owns around 2.32 million shares of Insperity, equal to 9.1% of the outstanding stock, which makes the fund the largest shareholder of the company.